Not all habits are created equal. Some habits have more of a positive impact on your wellness than others. In the book, The Power of Habit, Charles Duhigg coined the term, “keystone habit,” to refer to a select group of habits that help to supercharge our success in life. In architectural terms, the keystone is the centermost stone that supports all other stones in an arch but bears the least weight. Likewise, a keystone habit is a habit that holds all the rest of your habits together. 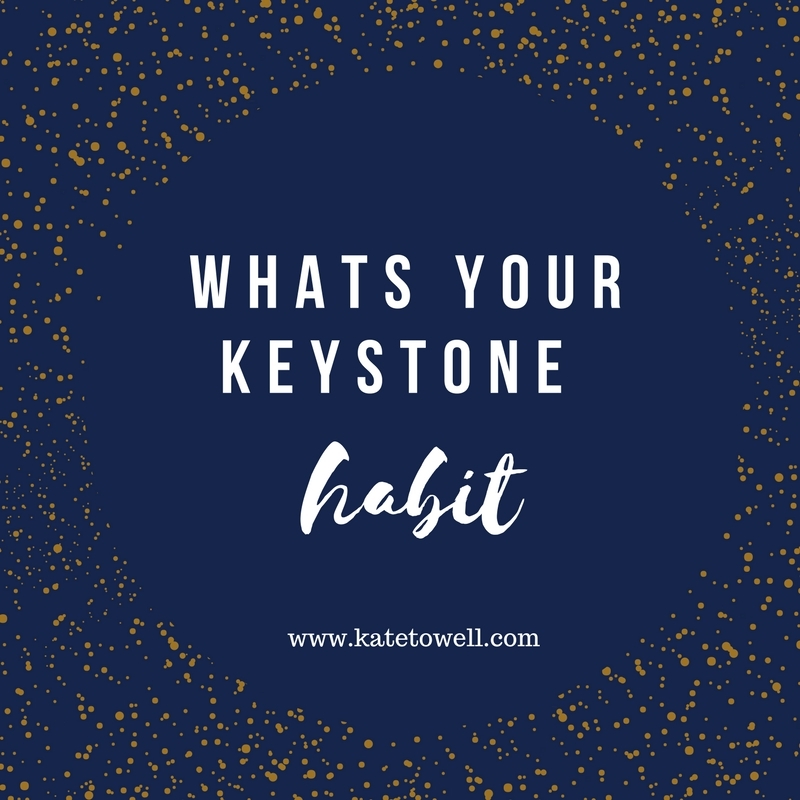 It is helpful to identify keystone habit because when you prioritize that behavior, it leads to a cascade of other healthy habits. My keystone habit is adhering to the Ayurvedic principle of eating three meals at about the same time each day and not eating after 7PM. That means no snacks and no late night eating. By eating three healthy and fulfilling meals and by practicing intermittent fasting between meals I find I have more energy, sleep better, think more clearly and suffer fewer cravings. Your keystone habit doesn’t have to be big to have a big impact. Your keystone habit can boost your confidence and build momentum according to Duhigg. To help identify your keystone look for habits that give you small wins. Also look for habits that provide a platform for other positive habits to grow. For example, getting sufficient sleep means I wake up earlier and have more time for meditation and exercise before the work day starts. Keystone habits are a powerful catalyst for change – but only if you prioritize them and more importantly do them.